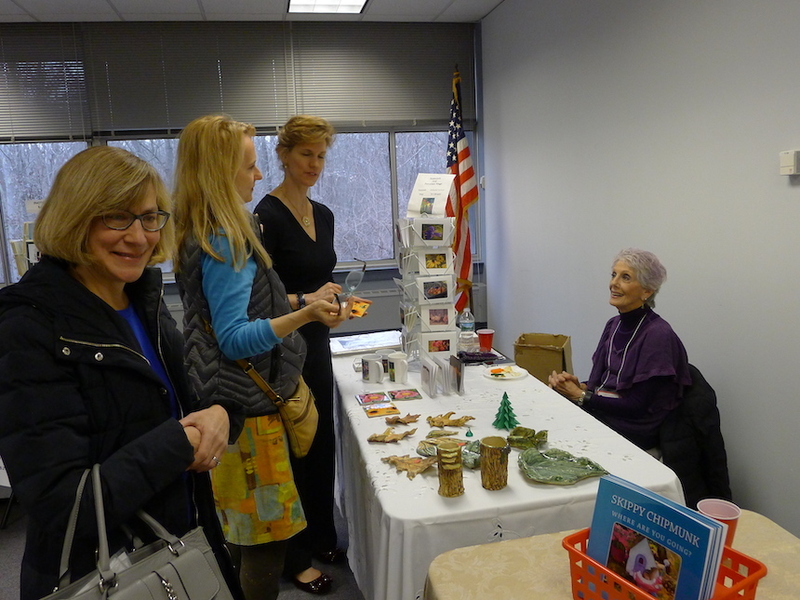 The opening reception of ALC’s Winter Friends and Family Show Dec. 9 featured a holiday boutique, a show and sale of 6×6-in. 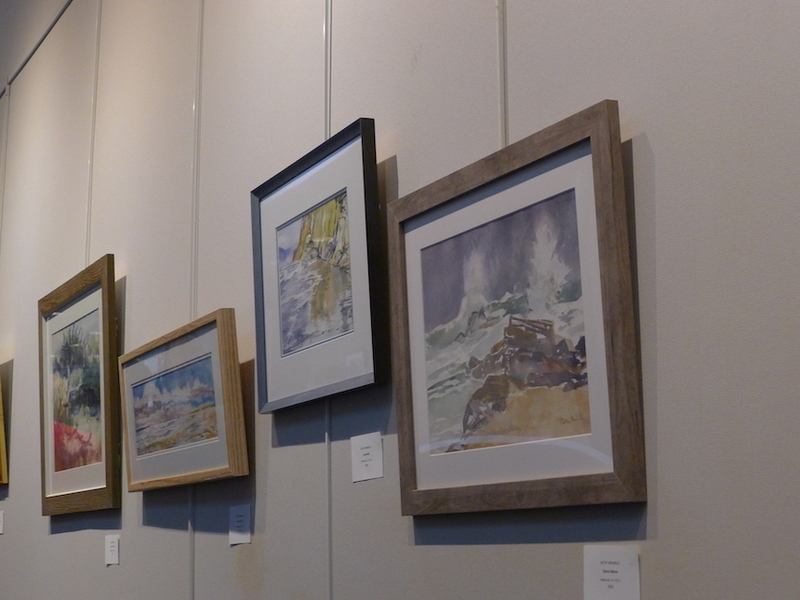 artworks, and a celebration of the league’s 30th anniversary, as well as a solo show of watercolors by Betsy Mirabelli and a group show by members and guest exhibitors. 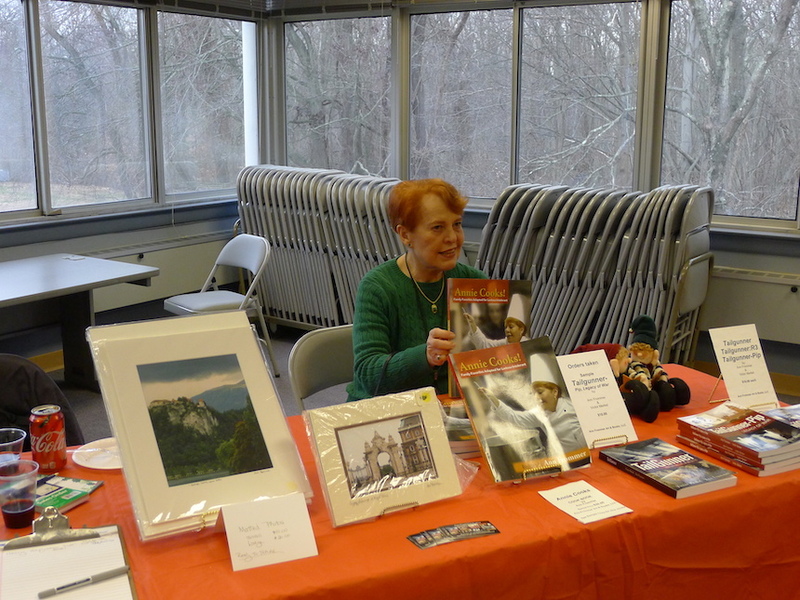 The solo show in the Lundt-Glover Gallery, and the group and mini shows in the strolling gallery, will remain on display in the Chatham Township Municipal Building through March 11. 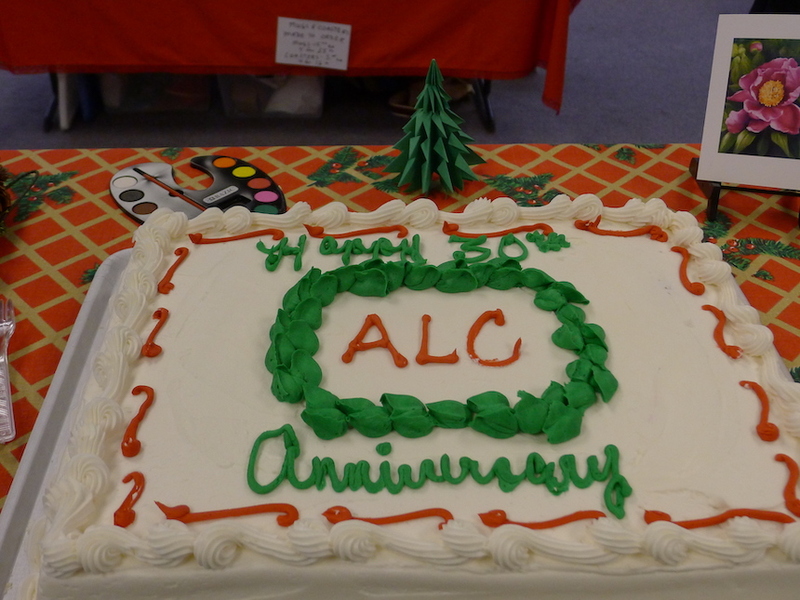 A 30th anniversary cake was shared with reception-goers. 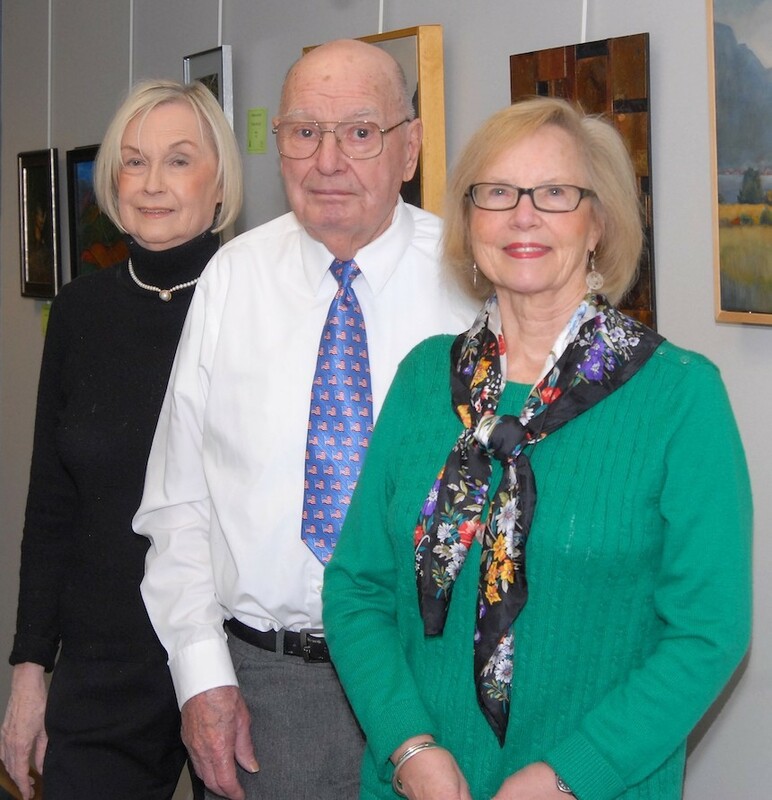 Charter members (L-R) Suzanne Casterlin, Ed Schuh, and Kathy Havens. 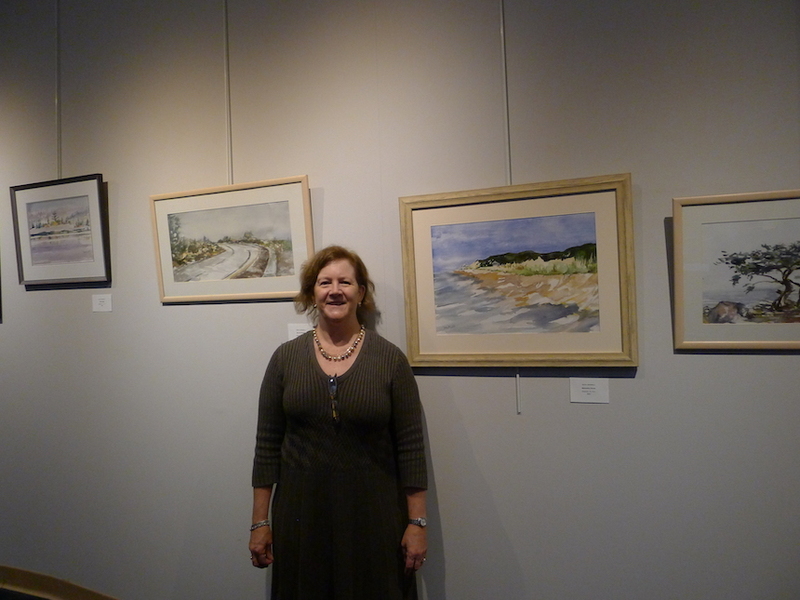 Betsy Mirabelli at her solo show exhibit. 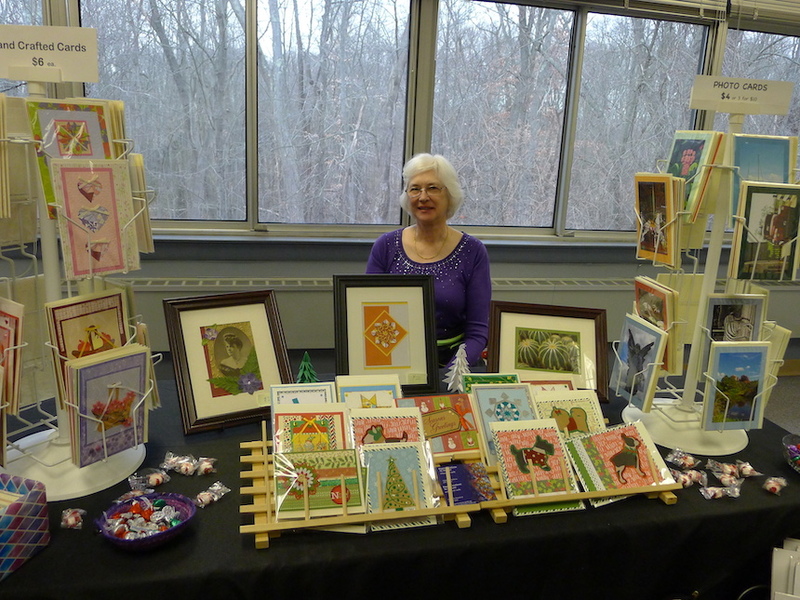 Some of Betsy Mirabelli’s paintings. 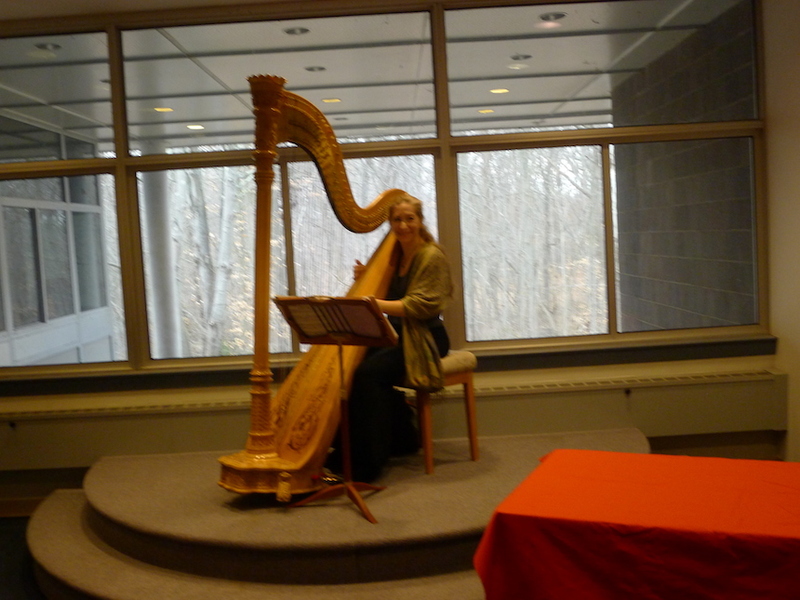 Harpist Merynda Adams played at Betsy Mirabelli’s opening reception. 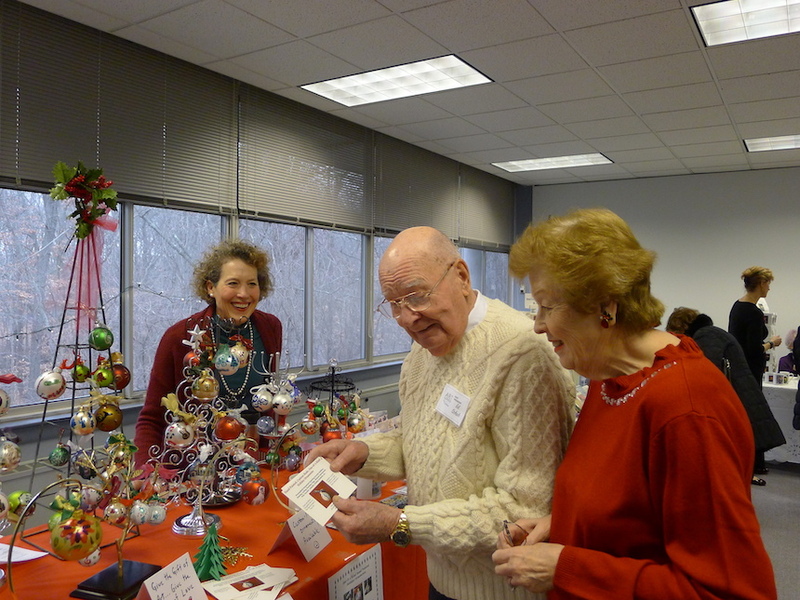 Ed and Rosemary Schuh at Deborah Fennelly’s boutique table. 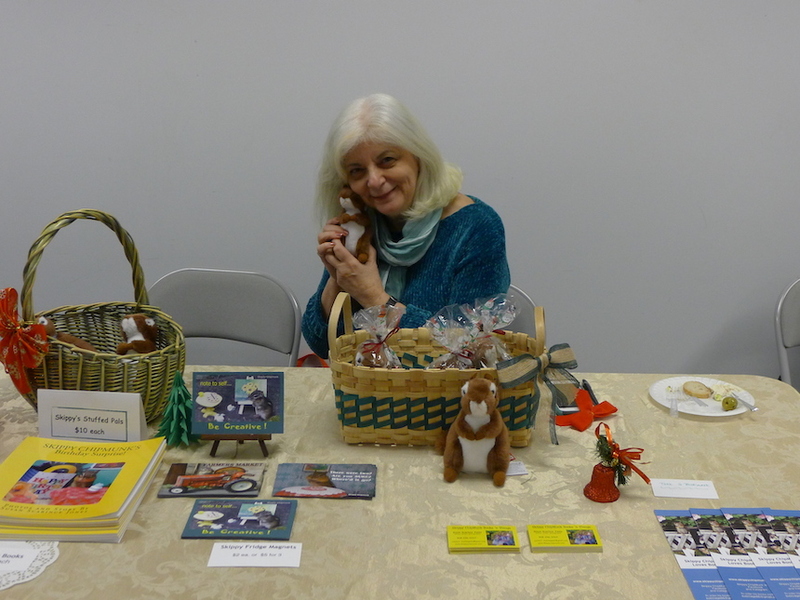 At Celeste Fondaco’s boutique table. Ann Frommer shows her cookbook.